"One of the best heritage hotels in Jaisalmer, Jawahar Niwas Palace offers a slice of life from the royal quarters. This sprawling golden sandstone palace bears testimony of the royal grandeur and class. The Rajputana architecture of the property is marked by chattris and carved jharokhas. 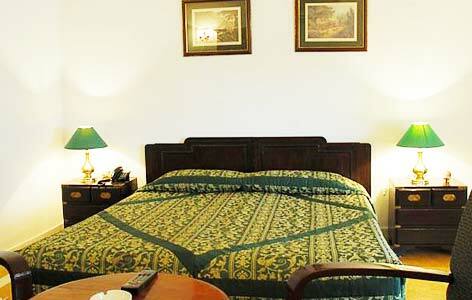 Enjoy impeccable services of the staff during your stay in the well-equipped modern rooms with old-world decor. Aarogan is the multi-cuisine restaurant where the guests can enjoy tasty sugary and savory delights. Jawahar Niwas Palace was constructed in 1899 under the reign of Maharaja Shalivahan Singh Ji. The present Maharaja converted it into a heritage hotel. The hotel exudes elegance and charm. This is one of the best places to stay in Jaisalmer. Experience a slice of life from the royal quarters. This sprawling golden sandstone palace bears testimony of the royal grandeur and class. Accommodation at Jawahar Niwas Palace has 22 spacious, royal rooms that are divided into Deluxe (15) and Super Deluxe Rooms (7). 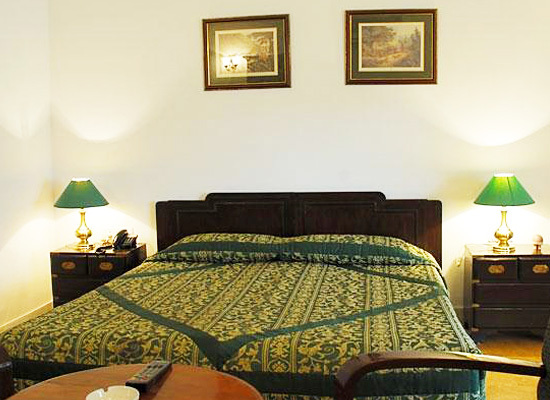 The rooms are a wonderful amalgam of royal elegance and contemporary comforts. The beautifully carved jharokhas with bay window look stunning. Savor the wonderful view of the mighty Jaisalmer Fort. The vintage art deco furniture add to the old-world charm. Sunset and Sunrise are memorable too from the palace’s terrace. Enjoy a cup of your favorite hot beverage as you sit under the chattris, enjoying the peace. The rooms speak of class and elegance through traditional marble work and modern amenities, offering the best of both worlds. They give you a fair idea about the lavish lifestyle of the Rajputs. A free flow of colors give that special edge to the rooms. Some of the comforts include air-conditioning, plush bathrooms with running hot/cold water, color television with satellite channels, telephone with STD/ISD, room service and so on. At the on-site multi-cuisine restaurant, the guests can savor lip-smacking sugary and savory delights. 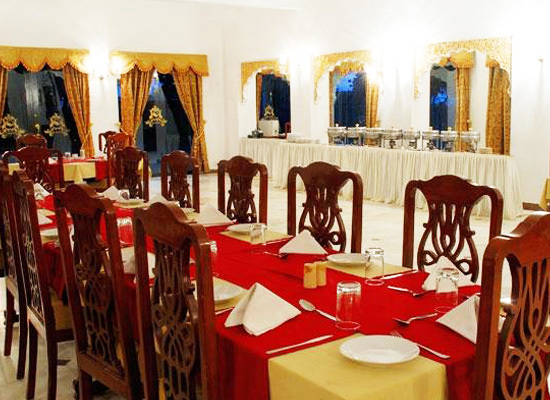 ‘Vansh’ is another dining venue that serve tasty authentic Rajasthani cuisine and impeccable Rajputana hospitality. Around 20 paintings and photographs adorn the walls. The poolside bar is an ideal venue for lazy afternoons and exciting evenings where you can enjoy the hustle-bustle and wonderful views. The menu includes of a vast variety of spirits, wines, and beers along with an assortment of snacks. Candle-lit dinners can be arranged during winter months at the ruins of the popular Fateh Mahal. The bonfire gives ample light and warmth, setting the mood perfect, making the moments worth cherishing. Folk music and sound of the drums become an added bonus. Meals are served at different venue as per the seasons. Breakfast or dinner is served at the fort’s remains, offering the view of the pool. The terrace gazebo becomes the perfect venue for a memorable lunch. The views of the countryside are mesmerizing. Arrangements for bonfire and dinner in the sand dunes is going to be a memorable affair of your stay. Jaisalmer lying at the heart of the Thar Desert is one of the most frequented tourist spots in Rajasthan. Jaisalmer literally means the 'Hill fort of Jaisal', and the city is surrounded by a high wall. The present ruler of Jaisalmer is Briraj Singh. The many palaces, temples, and museums serve as major attractions of Jaisalmer.